2.4GHz video transmitter for long range AV transmission. Also available in 1.2GHz and 900MHz frequency bands. Transmission range: Range may vary substantially depending on the actual operating environment. Much longer range can be achieved in aerial applications. 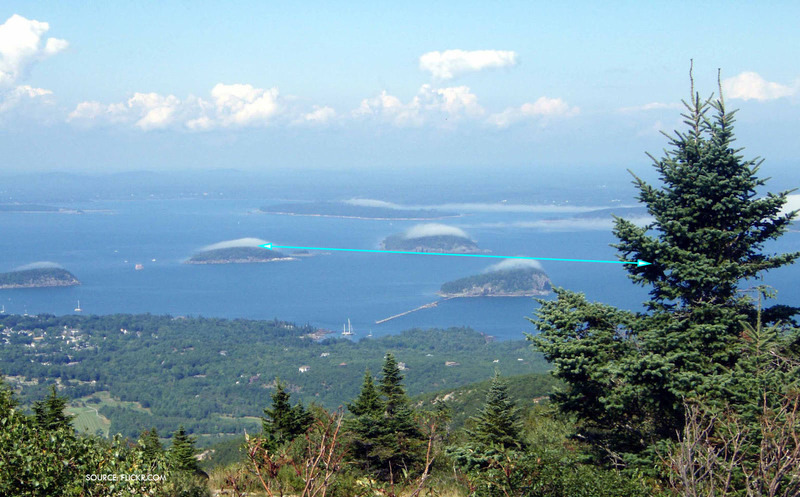 Range is about 1,000 feet (300 meters) in open space with high gain omni-directional antennas of 12dBi or higher. Longer distance can be achieved if high gain directional antennas are installed in a line of sight environment - see table below. 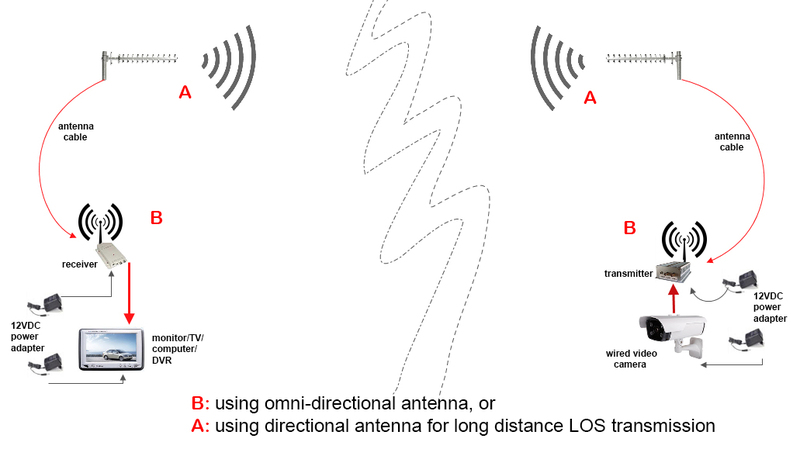 Wireless signal can pass through some walls, trees and other obstacles, but in this case, the transmission distance will be much shorter due to signal attenuation through obstacles. Antenna included 7dBi omni-directional antenna 3W: 7dBi omni-directional antenna. Preset channel frequencies (MHz) Channel 1: 2410, Channel 2: 2430, Channel 3: 2450, Channel 4: 2470. 2) For 8W, 10W and 15W transmitters, it is recommended to use antenna of at least 9dBi gain or above. 1) 4-channel 2.4GHz AV transmitter. A 7dBi omni-directional antenna included for 3W model only. 2) 4-channel 2.4GHz AV receiver with a 7dBi omni-directional antenna. 3) One 12VDC power split cable (except 15W model). 4) Two 12V universal regulated power supplies (one for 15W model because a power supply already built inside the TX). 6) One RCA AV output cable for the receiver. For specifications of 15W model, please click here.